Are you planning to throw a baby shower soon? 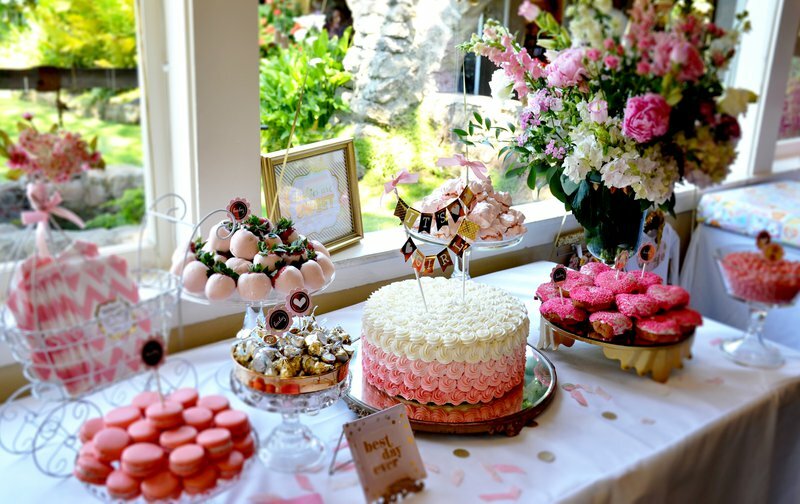 Get inspiration from these lavish celebrity baby showers. Being pregnant is an exciting and joyous time. Celebrating your pregnancy with a baby shower is a big deal for most women. What better way to celebrate a new life than with gifts, lots of laughter, good food and great company? We look at a few of the best SA celeb baby showers this year so far. Jessica Nkosi is expecting her first baby. The ‘Isibaya’ star had the mother of all baby showers earlier in July. The glittering event was attended by some of South Africa’s biggest stars including Ayanda Thabethe and Duma Ntando. The theme for the shower was pink, and the décor was simply breathtaking. Imagine a pink and white rose wall a la Beyoncé, along with silver, gold and pink balloons framing it. The cake was a pink and white masterpiece and guests got amazing goodie bags filled with luxury products to take home with them. The mommy-to-be also looked radiant in a white dress. We just hope we get invited when it’s time for baby #2. Former Top Billing presenter, Jo-Ann Strauss, looked radiant at her baby shower which was held earlier this year. Her cake stand was a work of art. Look at it below. Jo-Ann wore a pink skirt with a lovely white shirt. She sported a Beyoncé inspired floral headpiece and her décor was elegant and filled with flowers. Former Miss SA Tansey Coetzee had a lavish baby shower earlier this year which was attended by some of South Africa's biggest stars including Bonang Matheba. The stunning shower was held at Morrells Boutique venue, North of Johannesburg. The theme of the shower was pink and Tansey and her famous friends looked absolutely gorgeous. The 33-year-old is expecting a child with her husband Kolapo Sodeinde whom she married in 2014. Which celebrity mommy-to-be takes the crown for the best baby shower? Let us know in the comments section below.